The Lowcountry Stargazers holds its monthly meetings on the first Thursday of the month at 7pm at Atlantic Aviation at 6060 South Aviation Avenue #99, North Charleston, SC 29406, but this may be a better representation of our meeting location. Due to Independence Day, the club meets on the SECOND Thursday during July. Members are invited to use the club's dark sky site, the Pepper Field at Mullet Hall Equestrian Center. For access, members should contact Jim Hoffman. Astronomy in the Park an almost-weekly public event at Brittlebank Park. We set up at the south end of the park opposite the Marriott Hotel. During 2019 we are holding almost-monthly public observing events at our dark sky site. They are held on the the first Saturday of the month, and are weather dependent. For more information, please visit our calendar, or our Facebook page. For first-time observers, please have a look at the club's stargazing etiquette. 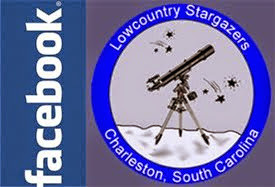 The Lowcountry Stargazers is a non-profit 501(c) organization, established to further the education of our members and the general public in the field of astronomy. 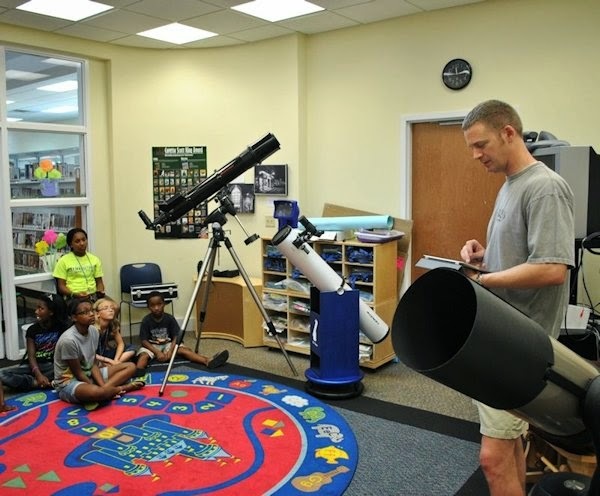 In addition to member-only club activities, we have an active outreach program that seeks to increase public awareness of astronomy and bring the joys of the night sky to all with an interest. 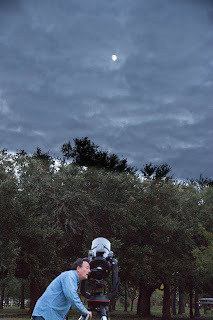 Members of the Lowcountry Stargazers share a common interest in astronomy. Most are involved in school, scout and other public outreach efforts. Members own a wide variety of equipment and are active in providing programs to school and community groups. Arrangements can be made for members to bring telescopes for discussions or observing. For more info, please contact Mark Davis.